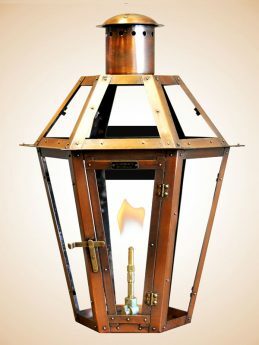 The Six Sided Flambeaux French Quarter lantern is the more formal version of the traditional French Quarter style design. 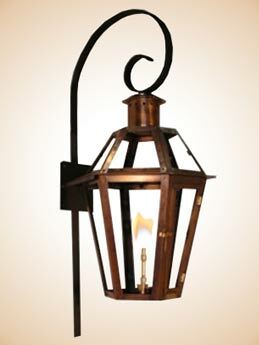 The scroll bracket makes this a unique lantern. The standard bracket version of the Six Sided Flambeaux French Quarter provides a nice accent to doors or entryways and gives a formal look.